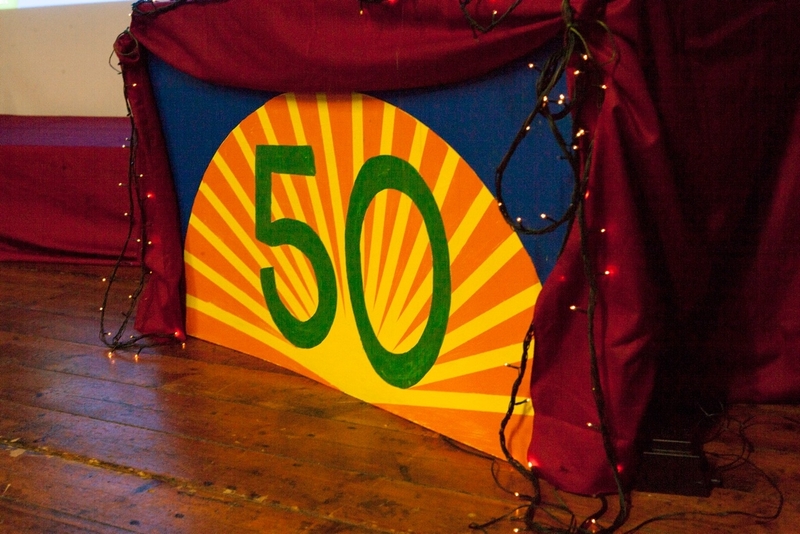 Our 50th talk, with springtime in the air, required an evening of extreme fun and Richard O. Smith provided the perfect recipe. Over the course of a hilarious hour on April 12th, he examined two great sources of amusement - eccentric British sports and mischief at Oxford over the centuries. Perhaps only the British would conceive of sports like the pantomime-horse Grand National, toe-wrestling, the 100-metre sprint in high heels, or wrestling in in Lancashire in a pond of gravy supplied by Bisto - with participants hosed down by the fire brigade afterwards. With lawn-mower racing, some machines reach speeds of over 80mph and equally dangerous and insane is the cheese-rolling at Cooper's Hill, near Gloucester, where competitors throw themselves down a near-vertical hill in pursuit of a round of Double-Gloucester. Invariably, there are serious injuries as competitors pursue the cheese, rolling at over 70mph - and fleets of ambulances are always in attendance. Even more extreme sports involve high-altitude ironing on a rock precipice, as well as deep-sea ironing which, as Richard pointed out with his understated delivery, rather defeats the point of the exercise. And more formal sports, although equally death-defying, involve hurtling down a track of solid ice on little more than a tea-tray. Many eccentric sports have hardly any rules, such as the Royal Shrovetide Football Match at Ashbourne, in Derbyshire, which lasts for two days and involves hundreds of people. The teams are from the two areas of the town - "upwards and downwards" - and, perversely, the aim is for a team to put the ball through its own goal, with those two goals three miles apart. Apart from that, there are no rules. For the other half of his talk, Richard recounted tales of student mayhem from Oxford, like when the 19th Century explorer and soldier, Richard Burton, challenged a fellow student to a duel on his first day at Trinity College for mocking his moustache. After he was finally expelled for going horse-racing, Burton trampled the flower beds at Trinity with his horse and carriage as he left Oxford for good. The poet, Percy Bysshe Shelley, wiled away his days talking with groups of women pushing prams - and switching babies when they were distracted. And the rivalry between Balliol and Trinity once reached an extreme when students planted hundreds of crocuses to form an abusive phrase, whilst one college even put up a rival establishment up for sale on eBay. 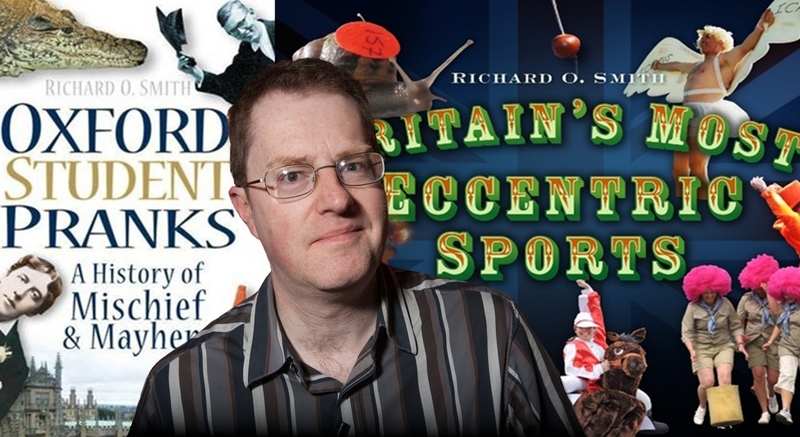 As well as writing for comedy shows on Radio 4 and BBC Two, Richard has published books on eccentric sports and Oxford mischief - with both selling well on the night. His next book, chronicling some of the world's most stupid criminals, called As Thick As Thieves, is due to be published in the summer. Over 100 people attended this landmark event, with Ann Day and Marlene Fisher baking delicious cakes. 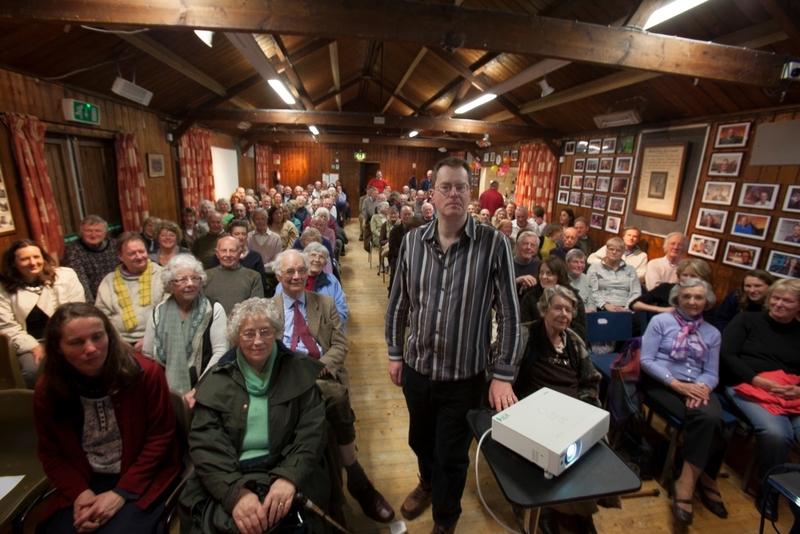 Adrian Arbib, who has taken portraits of our speakers from the start, photographed the packed audience from the stage - a memorable record of a wonderful evening. "It makes me proud to be British that we've not only kept going some ancient eccentric sports, but also developed some others in more recent times, and Richard gave us some wonderful illustrations, describing them with a lovely dead-pan tone. And to complete the 50th evening, he guided us through student behaviour at Oxford which seems to have been even more outrageous in the past....by 19th Century standards, today's bunch seem positively saintly - Greg Peake, Kidlington.